The NFL's Championship weekend TV ratings are out and there is a mix of good news and bad news. Let's start with the bad news. The overall viewership for Sunday's two games dipped compared to last year. CBS' early game on Sunday, when the New England Patriots held off the Jacksonville Jaguars in the AFC Championship to head to the Super Bowl for the second consecutive year, was down 5% compared to the early game last year between the Green Bay Packers and the Atlanta Falcons on Fox. Sunday's night game on Fox, which saw the Philadelphia Eagles decimate the Minnesota Vikings in the NFC Championship, was down 12% compared to the Pittsburgh Steelers and New England Patriots night game on CBS last season. The Vikings and Eagles game had the makings of a blow out by halftime, so that could have hurt viewership. 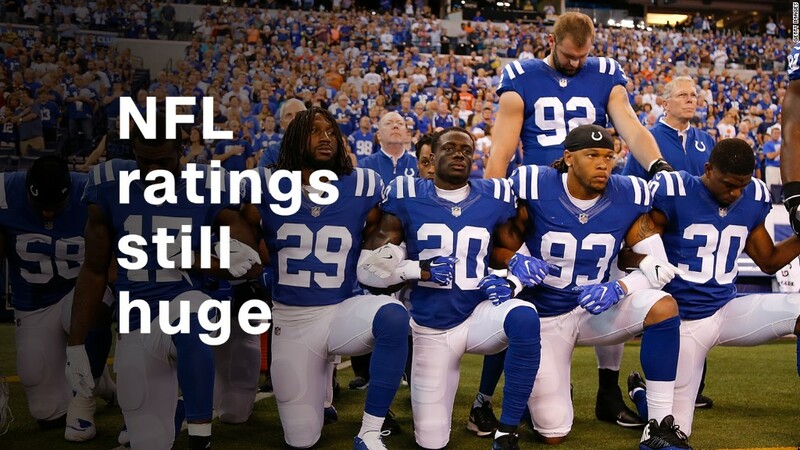 The NFL's numbers have been sluggish all season, so last weekend's ratings aren't exactly surprising. The blame for the declining viewership this season has been pinned on everything from a surplus of TV and streaming content to a roster of injured players. Now for the good news: Despite a loss in viewership, the NFL still brings in the biggest ratings on TV by a big margin. Both championship games had more than 40 million viewers tuning in, which makes the match-ups some of the most-watched programming on TV in the last year. Fox noted that the roughly 42.3 million viewers that watched Eagles-Vikings on Sunday night "registered as Fox's highest-rated and most-watched broadcast on the network since Super Bowl LI." The 44.1 million who watched Sunday's AFC Championship made the game the most-watched and highest-rated TV program since last year's Super Bowl programming.